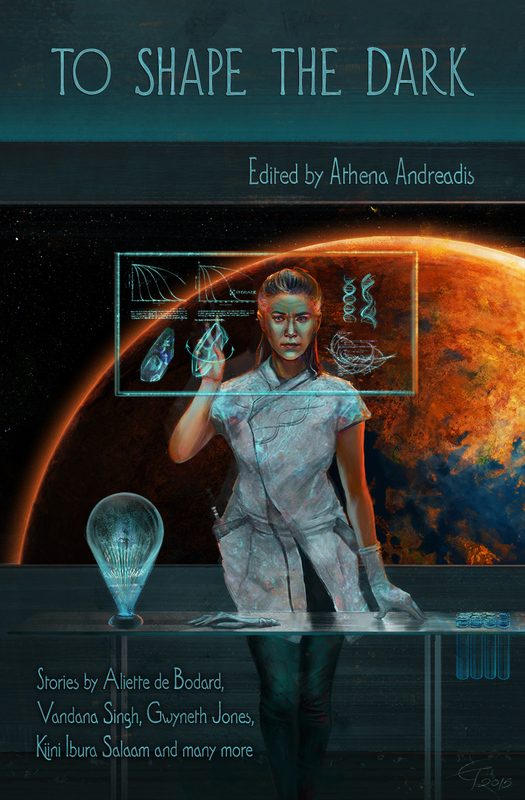 A Xuya story published in Athena Andreadis’s To Shape the Dark. Companion piece to “In Blue Lily’s Wake”. Dan Linh had walked out of the Purple Forbidden City not expecting to return to it–thankful that the Empress had seen fit to spare her life; that she wasn’t walking to her execution for threefold treason. Twenty years later–after the nightmares had faded, after she was finally used to the diminished, eventless life on the Sixty-First Planet–she did come back, to find it unchanged: the Midday Gate towering over the moat; the sleek ballet of spaceships between the pagodas and the orbitals; the ambient sound of zithers and declaimed poetry slowly replacing the bustle of the city at their backs. It was as if no time had passed.